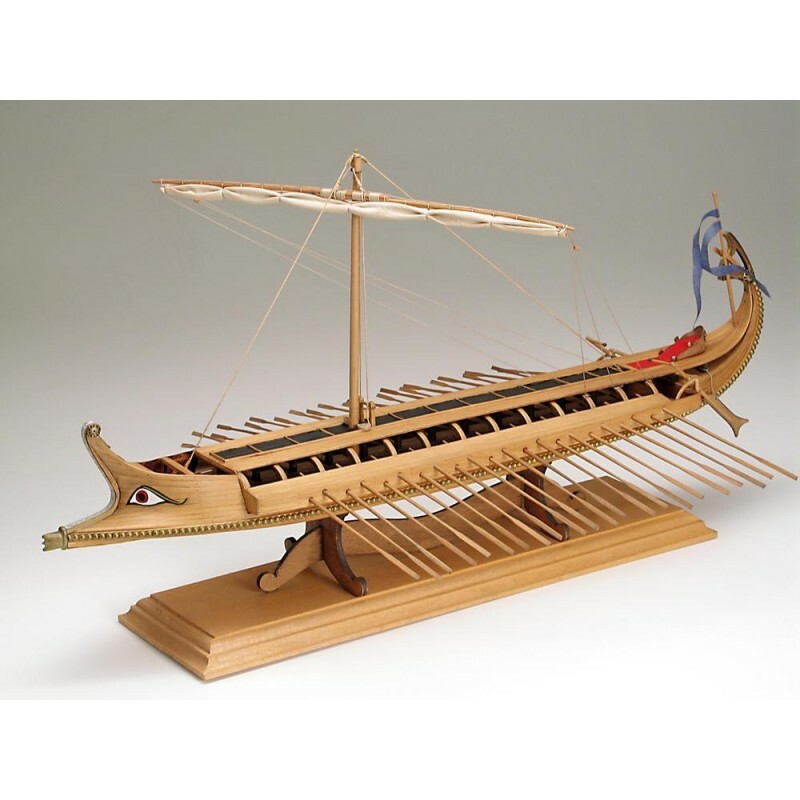 A fast and fearsome battleship, the Greek Bireme was manned by 44 oarsmen working on two banks of oars. 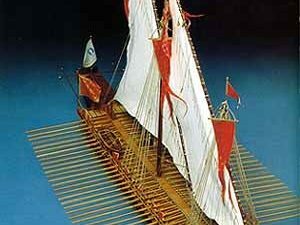 The protruding bow was a useful tool for ramming enemy ships. 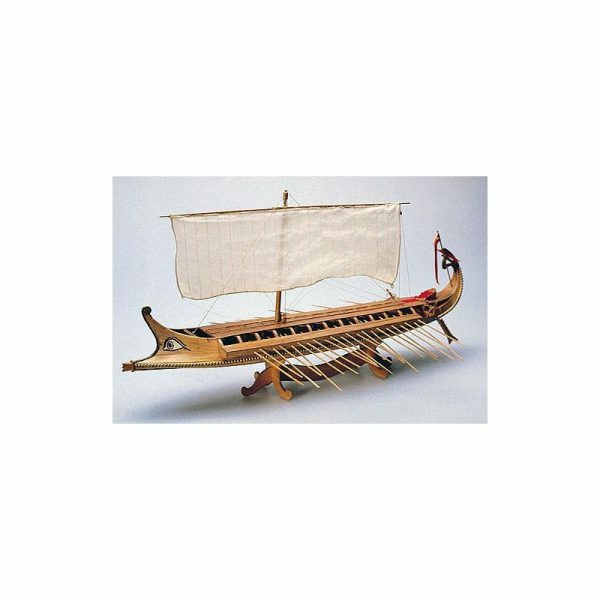 Based on a sculpture in the Louvre in Paris, Amati’s model is a faithful reproduction of a typical Greek bireme. 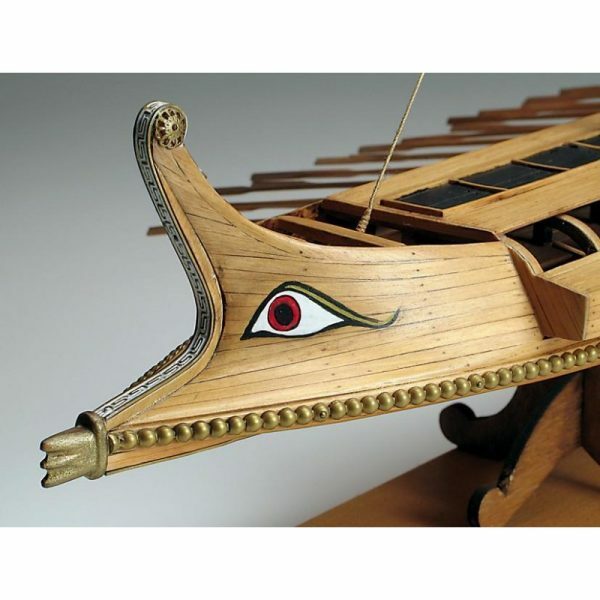 A fast and fearsome battleship, the bireme was manned by 44 oarsmen working two banks of oars. 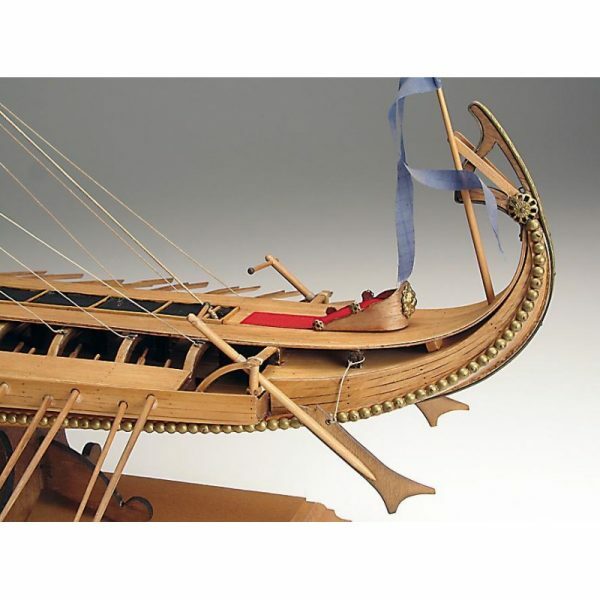 The protruding bow was a useful tool for ramming enemy ships. 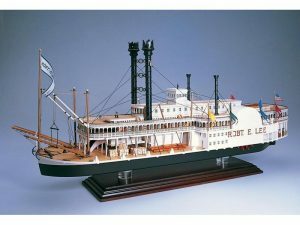 Keel and frames are pre-cut for trouble-free assembly. 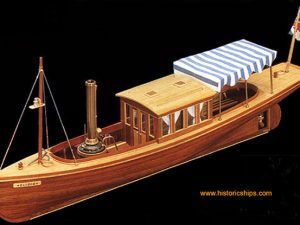 Hardwood and metal fittings and accessories are highly detailed for an exact replica of the original vessel. 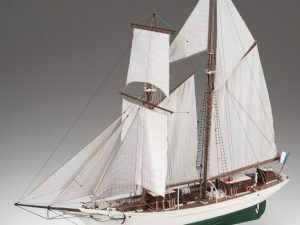 Rigging line, sail material and pennant are also included. Clear plans and easy instructions make building a pleasure.